Think of this as a "reality cut" of X-3, one where Jean did not come back from the dead, Scott didn't needlessly die, and the X-Men still had to put up a valiant struggle against Magneto's forces to preserve a child with the power to hold back mutations. Far too many to count, except for a brief "blink and you'll miss" cameo with Scott, who survives the film but remains very withdrawn, Jean is gone. Everything else more or less fits the same. I changed up the opening scene, and removed the danger room training. The film now starts with Xavier and Ororo talking to one another, and Rogue learning of the cure on the television. Xavier also doesn't die, and his lecture is pushed back towards the end of the movie. 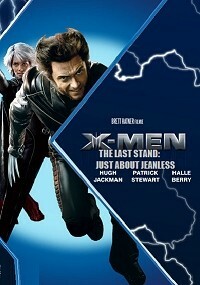 First things first,This has got to be one of the best edits for X-men Last Stand.While there is the issue of continuity at some points,it is,but a minor gripe for the most of the edit has been made in a very streamlined manner and for a first time viewer,this may very well be the theatrical release itself. While there is little added to the story,the removal of Jean Grey does make the film a whole lot better and you wonder what the end result would've been like had the studio never had the feeling to shoehorn the "Dark Phoenix" saga into the third installment.Using Jean's voice to indicate Scott's PTSD(and hence his withdrawal from the events of the film) really makes sense.I can also totally buy that a reckless and vengeful Scott would probably be one of the first to be killed by the sentinels for the DOFP events to still maintain continuity.It also eradicates the issue of "Professor X returning from the dead whilst still retaining his face" since he is still alive in this cut. This editor has done a commendable job of focussing the different narrative arcs. They feel genuinely less disjointed, as each one is given more screentime before cutting to another one in this edit, rather than spending like a minute at a time on one storyline then cutting to another like a chaotic mess in the theatrical cut. Which makes it all the more a shame that only significant problem is that, while the edit succeeds in making me care about where the story goes, it ultimately doesn't go anywhere. Mainly because any significant changes in these characters lives are ultimately undone by the final shot of the film. The only way to solve this is to remove it, but then you lose the ongoing thematic idea of Magneto having lost the chess match to Xavier. The only two editing choices are bad ones, which is by no means the fault of the editor but is just the only options Brett Ratner has given. But in the end, seeing as the choices were to sacrifice narrative consequence or sacrifice deeper idealogical subtext, I think Zarius definitely made the right choice. If nothing else, Zarius has made the only edit of this film I have seen that makes me genuinely invested in the development of the narrative as it's transpiring. And for that baffling achievement alone, I wholeheartedly recommend this edit.